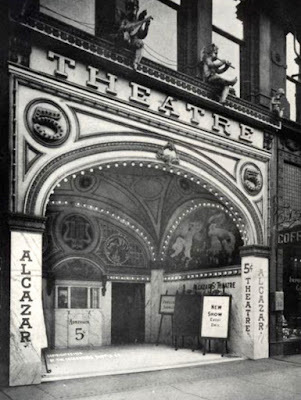 September 16, 1915 – A dozen years after the Iroquois Theatre fire that claimed 602 lives on Randolph Street, disaster is narrowly averted as 200 patrons at the Alcazar Theater on West Madison Street are watching the conclusion of The Red Virgin at 10:30 p.m. A small explosion is heard in the projectionist’s booth, and quickly the theater fills with acrid smoke. The night manager, “possessor of a stern voice,” [Chicago Daily Tribune, September 15, 1915] appears and shouts, “Don’t crowd! There are plenty of exits. See the red lights in front of you. There’s plenty of time. Don’t hurry! Don’t push!” Ushers keep the crowd moving toward the exits in an orderly fashion, and not a single member of the audience is injured. Miss Mattie Lamb plays the theater piano until the auditorium is empty despite being nearly overcome by smoke. The only casualty is the projectionist who receives burns on one hand when the film he is showing explodes and begins the procession toward the exits. September 16, 1925 – The South Park Commission inks a contract to cover the construction of the $2,000,000 John G. Shedd Aquarium. It will be built in Grant Park about one-tenth of a mile east of the Field Museum. Shedd began his career as a stock clerk for Marshall Field and worked his way up the corporate ladder, taking over as president of the firm when Field died in 1906. The aquarium was his gift to the city, one designed to complement the great museum to the west named after his former boss. 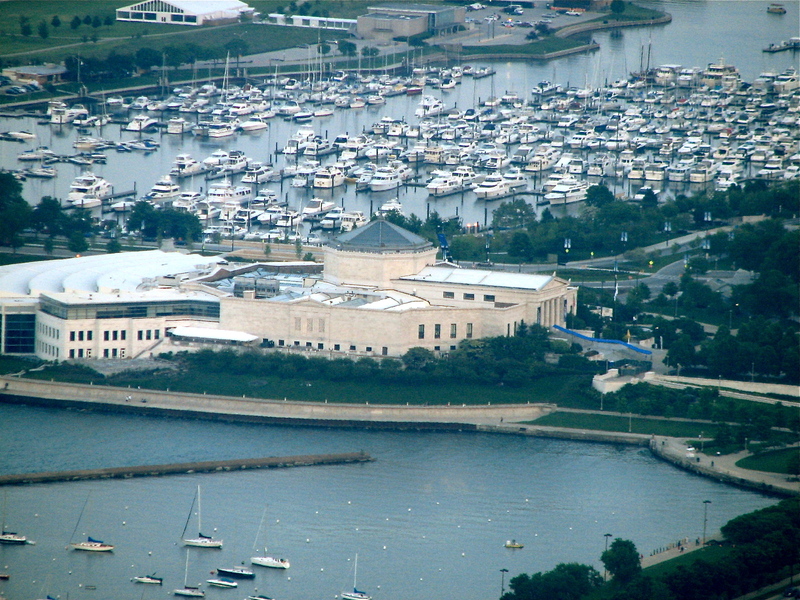 Shedd did not live long enough to see the completion of the aquarium in 1930; he died just over a year after the South Park commission made its 1925 announcement.